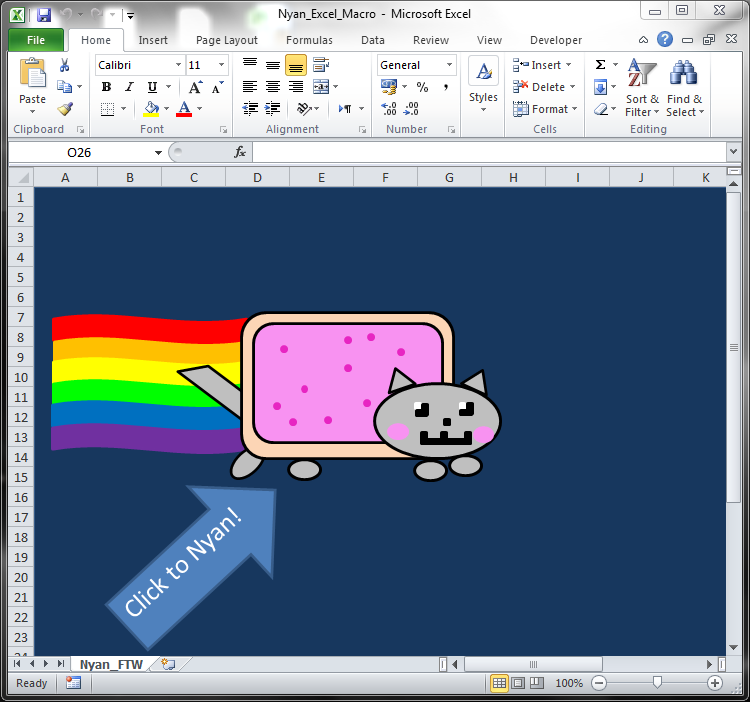 Computers → Nyan Cat The Excel Macro! Ok enough! Heard the song enough during testing. 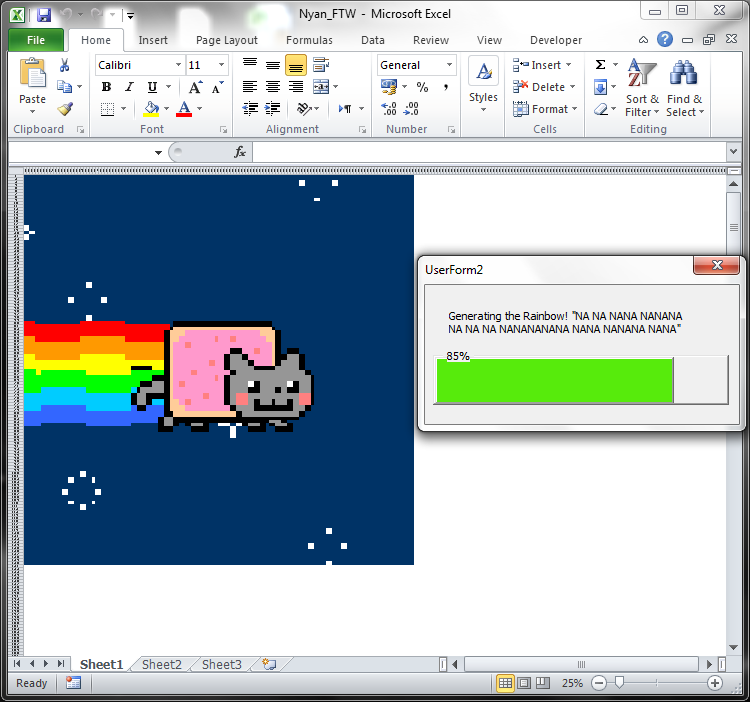 And YES those are Excel cells being updated regularly for the animated cat!